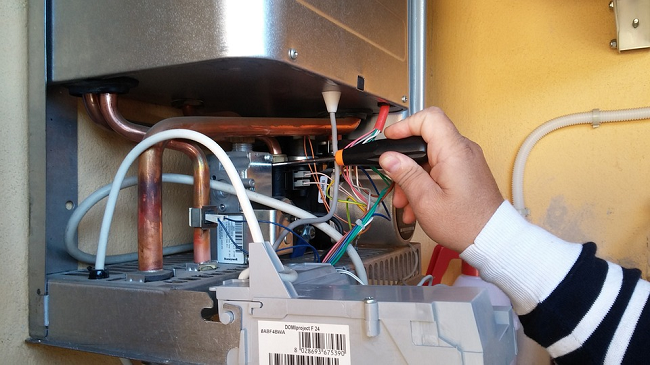 With winter fast approaching, it’s critical to ensure that your old boiler is covered for breakdown! A broken boiler can be a significant inconvenience. It can also be a very costly repair in most cases, especially as these types of repairs require a registered Gas Safe engineer are vitally important to ensure that your home is kept safe. However, this kind of professional help isn’t cheap and will cost even more if the incident occurs outside of regular working hours. This is why we recommend boiler breakdown cover. It can be a lifesaver if your boiler happens to break down during the cold, and wet winter, which Britain is famous for! However, even though boiler cover is very important, you shouldn’t rush into purchasing it until you’ve done a little research to find out what’s covered and for how much. For example, take a look at our Home Emergency Cover, it includes boiler breakdown cover but you also get additional cover on a wide range of home emergencies, and all for just £91.25 per year! We’re confident that our Home Emergency Cover will trump any boiler cover policies you can find, and here’s why. Our comprehensive home emergency cover costs just £91.25 a year! It includes boiler breakdown cover as standard but also covers you for damage to your drains, pipes, roof, power supply, toilet, home security; loss of keys, and pest infestation are covered too, which I think you’ll agree makes our home emergency cover great value for money. You can get Mesa yearly drain cleaning services to keep your drains cleaned and keep them from clogging. There’s no excess per claim, which means there won’t be any extra costs if you have to make a claim – and you’re entitled to an unlimited number of claims per year. You’re also eligible for £1000 in assistance per incident with no call out charge either! We cover all types of boilers, excluding solar-powered heating systems. Boilers of any age qualify for our cover; so no matter how old your boiler is, we’ve got you covered! With a 24/7 helpline, 365 days a year, you’ll have a peace of mind knowing that a qualified and reliable heating engineer is just a phone call away. We hope you’ll agree that our Home Emergency Cover is not only comprehensive but offers great value for money and peace of mind too. Please note that this older boiler cover is only for our Home Emergency Cover, not Landlord Home Emergency Cover. For more information about our policies please click here.